Now that Lukas has begun teething, it’s time for me to make some more teething scarves. Since he’s only 4 months old, he can’t quite sit up on his own, yet. This makes tying on a scarf a bit difficult. Therefore, these new scarves are all with kid-friendly snaps. I’m in the process of making up a bunch of organic cotton teething scarves to sell on Etsy.com along with some other eco-friendly teething toys and stuffed animals. As soon as I have more pictures and items, I’ll post them here first. If you need any baby gifts for Christmas, I’d be happy to help. Two layers of organic cotton with a snap at the back. Lukas has a few of these, so that when one is wet, I can quick change it with another one. This scarf has an added triangle on the front for when your child is at the extreme drooling phase of getting teeth. This scarf is also reversible and made of organic cotton with a snap at the back. Although it looks like this scarf ties around the back, it is folded like an accordian with snaps in the back and does not loop around the babies head, making it safer than tie around scarves. It is also tacked on the sides, so that the hanging strips stay in place. 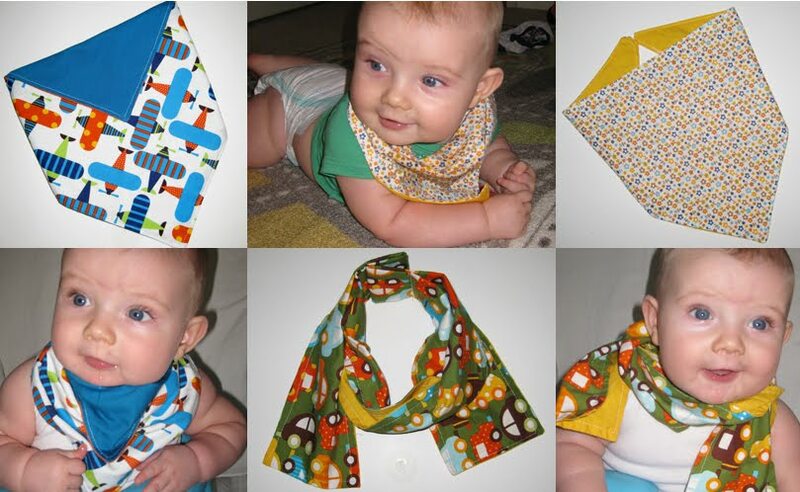 If you would like to make your own teething scarves. 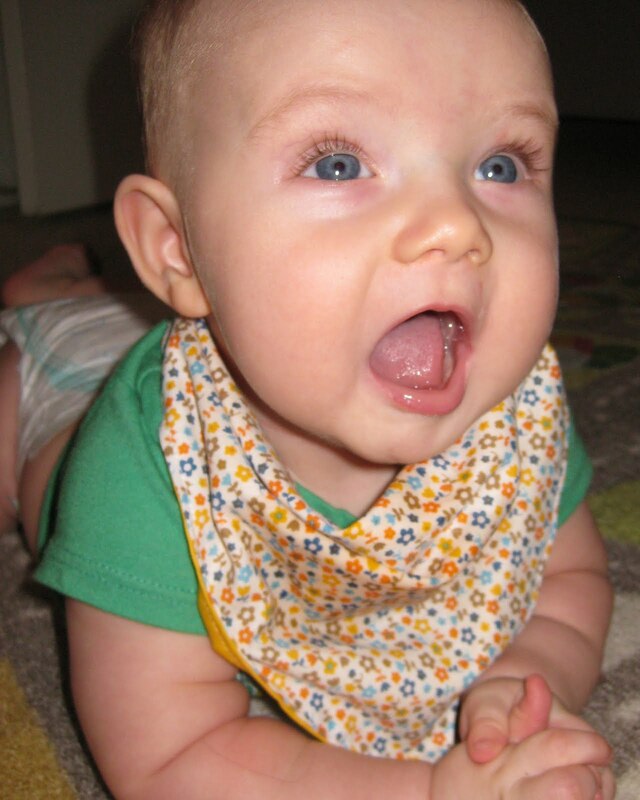 Check out the How to under Feburary of 2010 or at http://kelley-donner.blogspot.com/2011/02/teething-scarves.html. You checked out one of my posts with transportation vehicles on a quilt. The vehicles are machine embroidery applique. I can't seem to send you an email, so checked out your blog. Cute kids and fun drool rags as my daughter would say. Suggest you check out an basic coloring book for some ideas and then do applique for your project. Good luck.